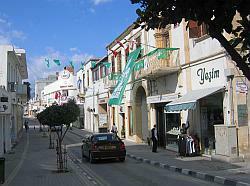 Kyrenia, or Girne – Girne being the Turkish name for the town, although most people still call it Kyrenia – is probably the most popular town in North Cyprus, and it’s located in the middle of the north coast. Kyrenia is where all visitors to the island are naturally drawn due to the famous pretty horseshoe shaped harbour, along which you’ll find many bars and restaurants, and which is dominated by an immense Byzantine castle. 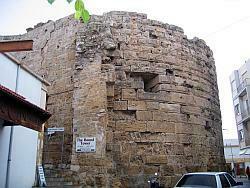 It is said that the town was founded in the 10th century, and was called Corineum during the Roman period. As can be seen by the many tall buildings surrounding the harbour, it was once a bustling trade port, the buildings used for storage of goods such as carob. Under the British rule many improvements were made to the harbour area and also to the road system, allowing easy access through to Lefkoşa. Kyrenia also boasts the New Harbour to the east of the town, which is a central departure point for passengers wishing to travel to and from Turkey. The town sprawls out from the harbour and is home to a number of interesting museums and galleries, as well as being a hub for local tradesmen. The old town is located behind the harbour, and if you wander along the rambling narrow streets you’ll come to small secret shops, cafes and restaurants some with tiny courtyards all tucked away in the shade of the buildings. Some of the older buildings in the town, which are still used as residences, are amazingly intricate in architectural design and detail, giving a good indication of the wealth of sea-faring merchants in days gone by. Kyrenia castle is lit up beautifully in the night time and adds a stunning focal point to the whole harbour area. It dates back to the late 12th century and is believed to have been built on a former Roman fort. Today it’s an exciting visitor attraction and museum with its lofty heights free and unrestricted by guard rails for people to climb around…parents watch out because a lot of those edges really are unprotected! It also houses the famous shipwreck museum that is home to one of the oldest ships ever recovered from the sea. 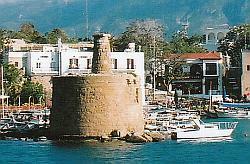 The castle also hosts music festivals and events, making it one of the most visited attractions in North Cyprus. Many Europeans have already made their home in and around Kyrenia, making it feel less of a town but more of a small city these days, with development seemingly expanding on a daily basis, but together making it more appealing to potential investors and residents. Kyrenia is a busy, social and cultural town with the GAU University only a short distance away, giving it a real mix of cultures and races. To find out more about what do and see, where to eat, and much more, please check our related articles section.